Today, we announced a new address for our corporate headquarters and an expanded website at constructor.io. Before delving deeper into today’s announcements, I want to reassure our current customers that we’re not making any risky changes in production at this time. Constructor Search will continue to meet and exceed expectations on speed, quality, and reliability throughout the holiday season. Now, onto the story about our new addresses and growth. 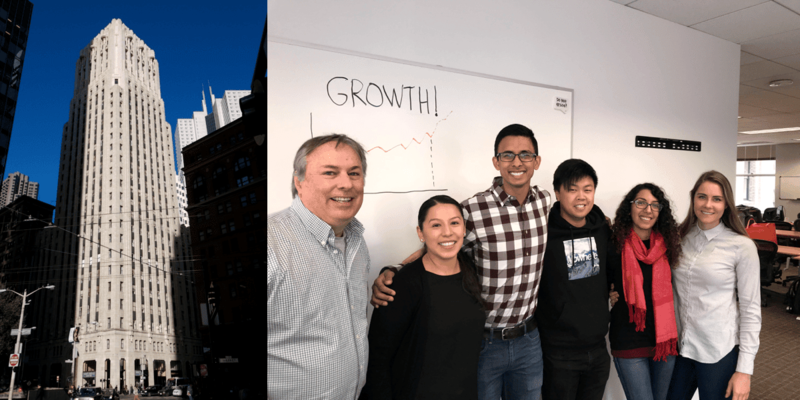 We’ve expanded into our new office at 100 Bush Street in San Francisco’s Financial District, and we’re more excited than ever. The new facility provides room for our growing team and serves as a hub for our global customers. While only a few blocks from our previous office, the larger office has already had positive effects on our culture and collaboration. Contact us to schedule an on-site meeting with our SF-based sales, operations or engineering teams. Along with a new office address, we’ve also redesigned and updated our virtual address at constructor.io. 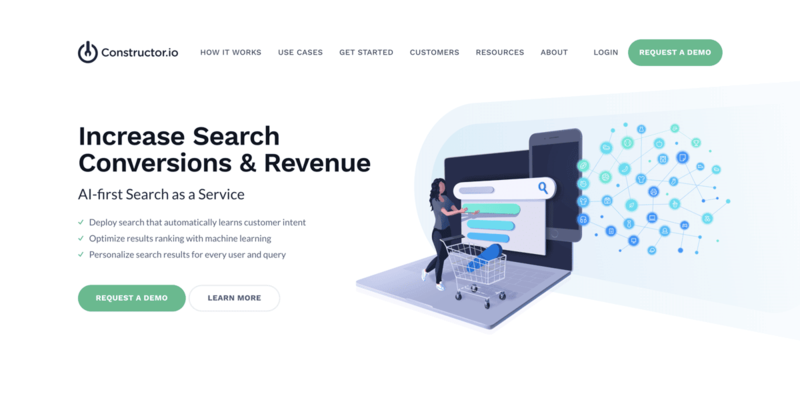 The new site crisply describes Constructor’s unique brand of AI-first site search that increases conversions and revenue. The site includes expanded descriptions of our product and how it works. Executives, merchandisers and search engineers are invited to explore use cases, customer testimonials and other resources. For a personalized introduction to Constructor Search please request a demo. 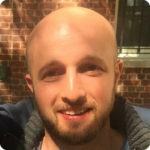 Three years ago Dan McCormick and I started Constructor to help site owners ease the pain of implementing compelling search experiences. We knew that improving site search would be a hard, multi-disciplinary problem. Then and now, we like good challenges. Our thesis was that treating search as fundamentally a machine learning optimization problem focused on improving key performance indicators (KPIs) would be a game-changing solution, particularly for ecommerce businesses. When ordinary search platforms touted platitudes like “making results more relevant,” we used behavioral data and algorithms to optimize business results. And, with guidance from our customers, we built a cloud-native search platform that drives their KPIs, including improved customer satisfaction and accelerated revenue growth. The potential from three years ago is now a reality. Constructor Search is helping our current customers grow their businesses. What’s more, we meet new customers everyday that want to work with us to gain an advantage from site search. Improving the KPIs our customers care about is our north star. Accelerating that mission is what’s behind our new headquarters, expanded website, and continued product investments. With growth comes a need for more great talent. We are actively recruiting for positions including product designers, product managers and sales development representatives to work in our San Francisco Headquarters and other locations. Visit the careers page to see all current openings. If you’ve got a mind for search, have a determination to give customers a better experience than they hoped for and enjoy tackling deep, complex challenges, we have a position just for you.